VSV-G, a vesicular stomatitis virus G protein fragment, which is commonly used in biomedical research to pseudotype retroviral and lentiviral vectors. 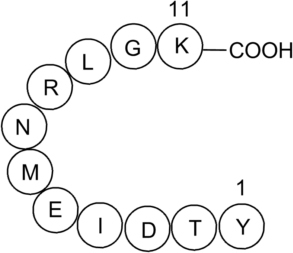 The VSV-G epitope tag is commonly engineered onto the N- or C- terminus of a protein of interest so that the tagged protein can be analyzed and visualized using immunochemical methods. Abbkine offers below Anti-VSV-G Tag Mouse Monoclonal Antibodies for your choice.